Learn how to make Homemade Milky Ways with just 5 ingredients! These are so easy to make, and they taste just like the original! Never miss a recipe, follow Back For Seconds on Bloglovin! 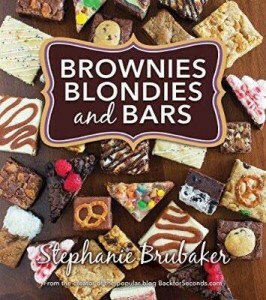 Who knew making candy bars at home could be so easy? It only took me about 20 minutes from start to finish to make these, and I already had all 5 ingredients in my kitchen. You should have seen the looks on my kids faces when they saw these Home made Milky Ways! Pure delight! 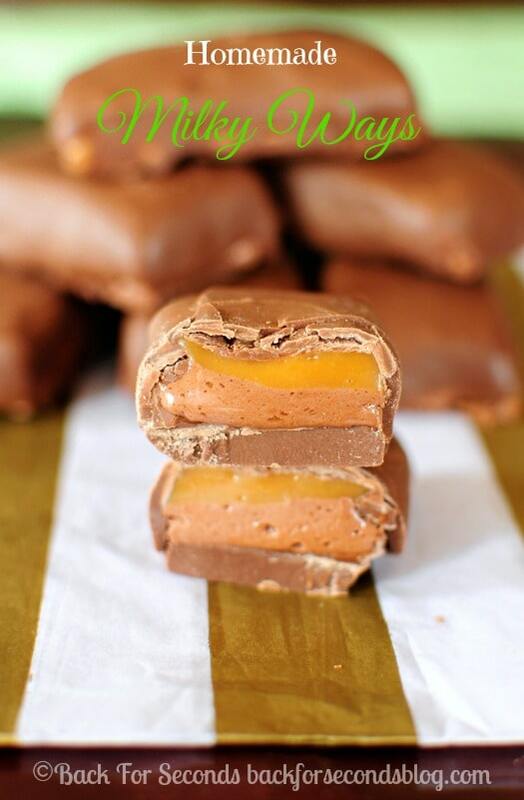 I love Milky Ways, so it was only a matter of time before I made my own version at home. 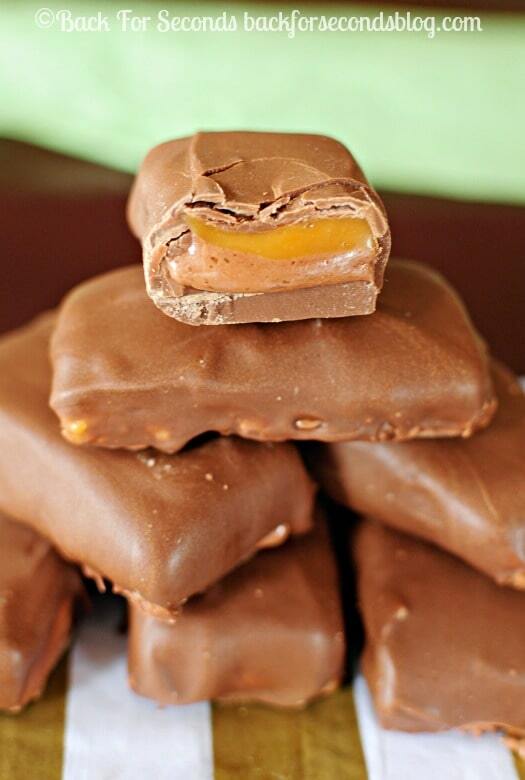 Smooth chocolate, creamy, chewy nougat, and soft gooey caramel. What’s not to love? You’ve got to make these! What’s your favorite candy bar? 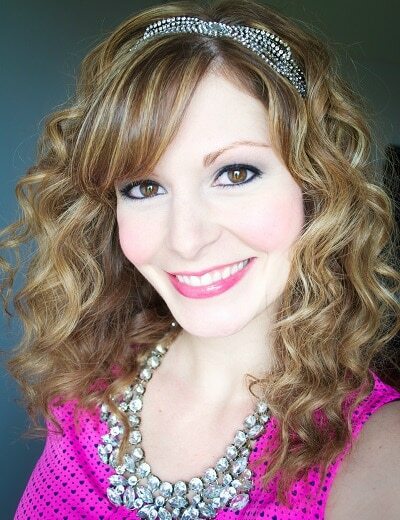 What would you like to see me create a copycat recipe for next? Yeah you’re thinking of 3 muskateers. 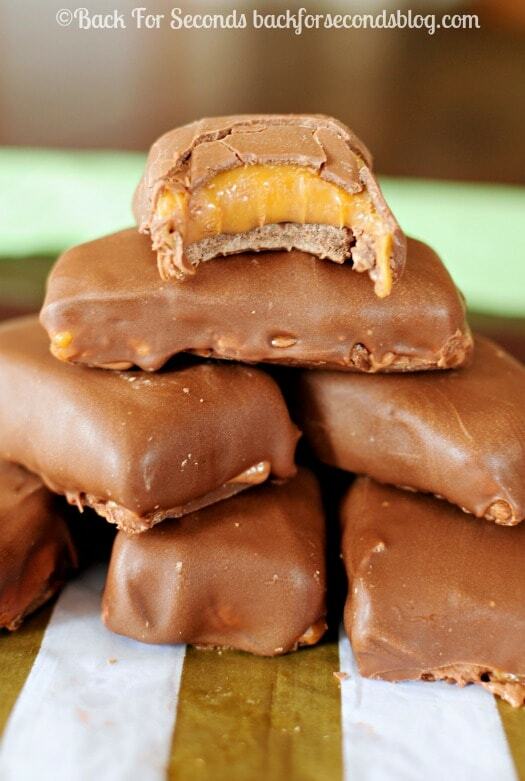 Milky Way does indeed have caramel. American Milky Ways have caramel, whereas in the UK and Australia a Milky way is a soft nougat bar covered in milk chocolate. The Milky Way bar is a chocolate-covered confectionary bar manufactured and distributed by the Mars confectionery company. Introduced in 1923, the Milky Way bar’s American version is made of chocolate-malt nougat topped with caramel and covered with milk chocolate, similar to the Mars bar sold outside of the U.S. Yes they do. https://goo.gl/images/jiHz6z You should have laughed. Just go watch the Unwrapped episode with Mark Summers and you will see that it does have caramel in the recipe. And furthermore, in 1997 they updated the recipe of the Milky Way and added more carmel. I used a standard 9x5x2″ loaf pan. Enjoy! This candy is Awesome and very easy to make! Thanks so much for the recipe. So are there 2 fluff and chocolate spread layers? Step 2 says to mix them and pour it over the first layer. But then step 3 says to do it again. Do you need double those ingredients or just split them in half? Sorry for the confusion, Brian. Just one fluff layer and one caramel layer, surrounded by chocolate 🙂 Hope you enjoy them! I want to them in dark chocolate. Any recommendations on what to use for dipping? You can use any dark chocolate you like, if it seems to thick once melted, just add a tsp or so of coconut oil to thin it out. Enjoy!